2013 | Do You Hear The Music? Oh man, just 24 hours from the 2014 Life is Beautiful lineup! I cannot wait to share this year’s lineup with everyone. Each minute we get closer to releasing it the more excited I get. I hope my enthusiasm and love for the talent assembled for year two of the festival is shared by you as well after tomorrow. I hope that as you watch this video below which recaps the music portion of Life is Beautiful 2013, you get pumped to create a whole new set of beautiful memories that will last a lifetime. 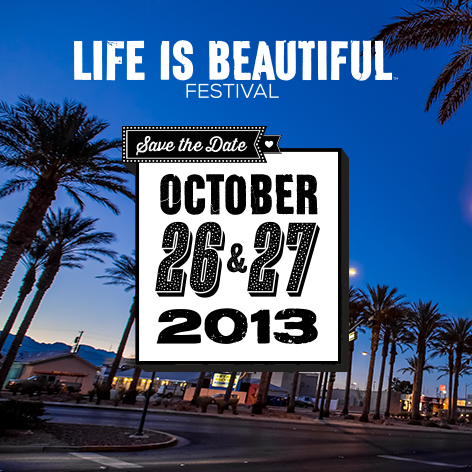 Big week as in the middle of this amazing Festival Generation Week, we announced our dates for Life Is Beautiful, October 26-27 coming to Downtown Las Vegas. Book your flights, book your rooms and get set to purchase tickets (soon)! Also if you are in Las Vegas I highly encourage you to take advantage of Festival Generation Week for the next couple days and listen, learn and speak with incredible individuals. Follow the hyperlink above for information and to RSVP. 2013 Bonnaroo Lineup is here! Well the wait is over and after nearly an hour of Weird Al’s telethon style releasing on Bonnroo365, here is the first portion of the Bonnaroo 2013 lineup. Get ready for the Farm, June 13-16. and a word to the wise, head in as early as you can because you don’t want to miss a full Thursday. 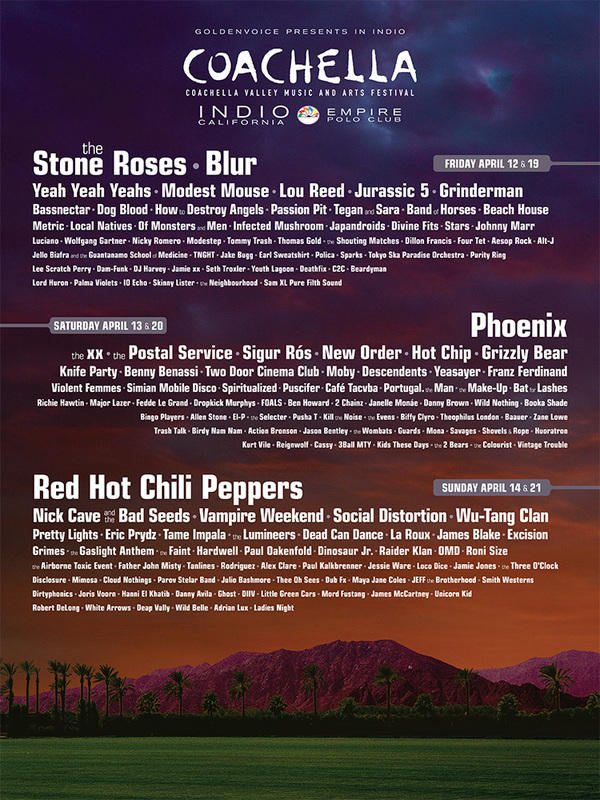 Coachella 2013 Lineup Is Here! Here we go, Coachella released the 2013 lineup tonight! Give a look and see who made it this year. Will be dropping some more thoughts later but take a look at the smaller acts, some real gems set to perform. And can we just say J U R A capital S another S I C Five MCs in the flesh…… Jurassic 5 on the lineup! HELLO 2013! Why not some good tunes to get the new year off in the right direction. Here is a collection of music I’ve really been digging as of late and hopefully some of the musicians become household names this year. Enjoy!